Diamondback rider Eric Porter gets an exhilarating lift from Tonka Trophy Truck driver Todd Romano to the top of a desert trail... and then proceeds to bomb back down on his DB8 downhill rig making for a pretty epic afternoon. 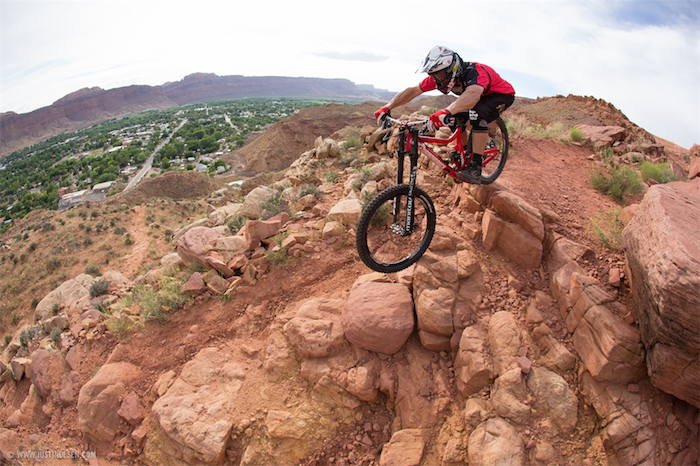 “What's better than a day on my Diamondback DB8 downhill bike?” says Porter. “Getting to the top in a Tonka truck! My good friend Todd Romano happens to be a professional off road truck racer, and also lives in the Park City area. 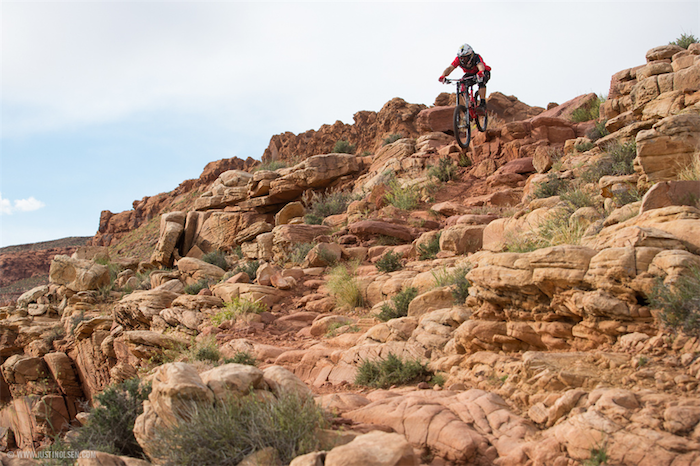 He was planning to be in Moab for some PR and testing in the truck, and we got together for a day of shredding. After strapping my bike down between his spare tires and making sure not to smash his radiator, we were off. “It's honestly hard to describe how awesome it is to ride in a truck like this, you can feel the sound when the engine roars, and the suspension enables you to smash into anything at full speed. All I can say is if you have a chance to ride in one, do anything to make it happen! “Once we were at the top, it was almost a letdown to pull my bike off and pedal away. I was wondering if riding my bike could come even close to the rush of blasting jumps in a trophy truck! However I quickly remembered how much fun bikes are, and appreciate the simplicity of a human powered machine as well." To learn more about our DB8, click here. Video and Photo credit to Justin Olsen.